Reference: How The Construction Of A Log House Differs From An Ordinary Construction? 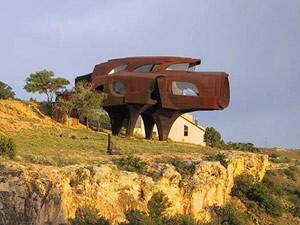 This beautiful and unusual house is one of the greatest masterpieces of architectural art. The roof of this awe-inspiring house looks like a huge flower along with its six petals. Each petal of the flower means a different section of the house. Moreover, it has a beautiful and curved swimming pool that goes through the house before ending at the backyard as a small pond which comprises fish. 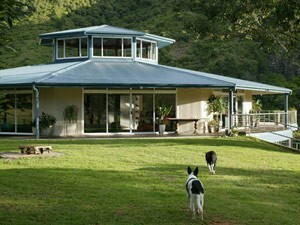 Everingham Rotating House is an octagonal house dwelling that has a unique ability to rotate a full 360 degrees. This entire rotating procedure is backed up with heavy machinery and makes use of electricity. For rotating it, all you need to do is to press a few buttons. The house comprises thirty two outrigger wheels and 500 Watts electric motors that spin the house upon pressing the button. A complete rotation of house may take up to 2 hours. 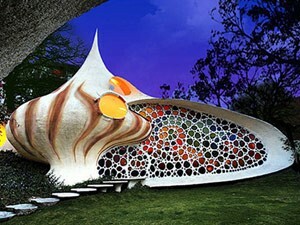 The Nautilus is a seashell-shaped home which was constructed in the year 2006. It is based in the Mexico City, Mexico. The house has stone steps that proceed along with shrubs to the front entrance door of the home. This blends the entire look into the mosaic façade. The architect of this house, Mr. Javier Sensonian has accomplished many other similar bizarre projects such as buildings shaped like snakes, whales and many other creatures. This house is located in Lubbock, Texas, United States and is a unique piece of art by artist and architect Robert Bruno. He has been working on this house since 1974 and is of the statement that he wants his house to appear as something in between an animal and a machine. The estimated weight of this unusual home is 110 tons. Located in Theoule, France, the bubble castle is a house made by a designer who rebelled against traditional house structures. 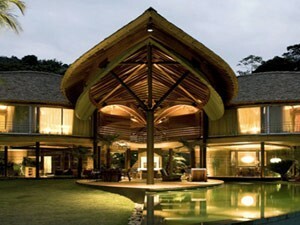 This house is an illustration of his fundamental approach to rethinking the built environment. The bubble castle is based in the southwest coast of France. In this unusual structured house, there are no sharp edges and straight lines. The house has been artfully unified with the surrounding by bringing all the outdoor elements inside. 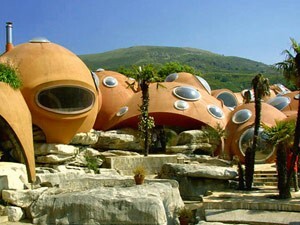 The France Ministry of Culture has declared the bubble caste as a historic monument.